took place! Dan gives a big “thank you” to RSA VP George McAllister, who was a great help with his advice, suggestions, and encouragement to him in the weeks leading up to the event. 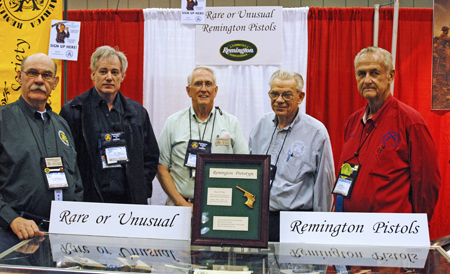 As you will recall, George managed the RSA’s display at last year’s NRA in Houston, and won two awards there. Past NRA President Sandy Froman said that more than 75,000 NRA members attended this 3-day event! This year we had the largest number of volunteers to ever help staff the RSA booth. ï¿¼efforts, knowing of the impor- tance of having an RSA presence at the NRA Annual Meeting. Dan and all of his helpers are the reason for the success of the RSA at this meeting. These men and women deserve our thanks for a job well done. 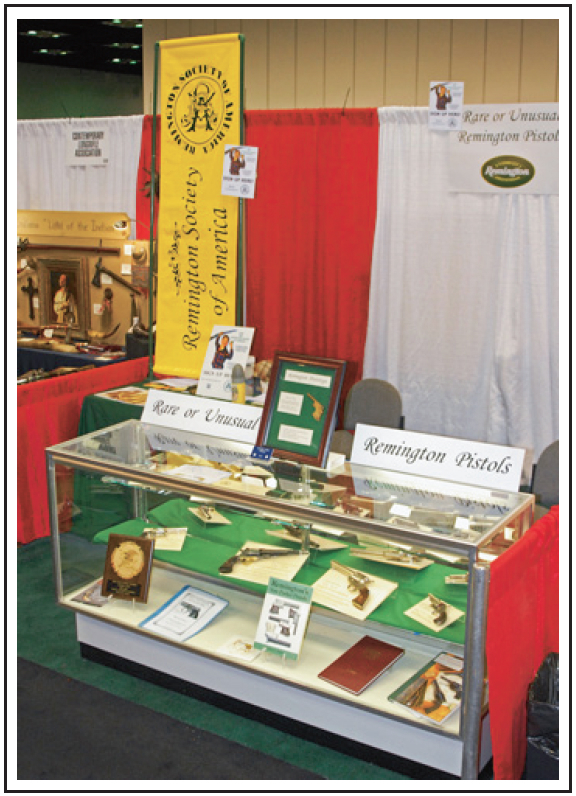 The RSA display that Dan put together won the NRA award as the Best Educational Display, pre-1898! 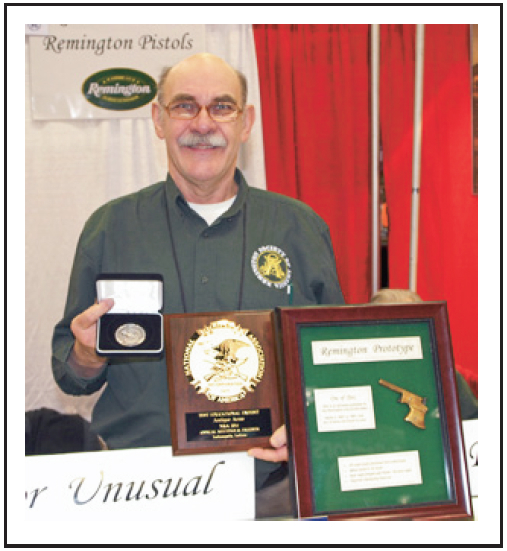 And Dan’s prototype brass Vest Pocket pistol won a coveted silver medal for one of the Ten Best Armsâ€ at the show! split breech pocket pistols, and the split breech rifles. Rider further refine his breaching design into the rolling block. Therefore, this little pistol could be considered the grandfa- ther of millions of rolling block rifles and pistols. Dan, you’ve done us proud!